Muriel McClendon is Associate Dean of Equity, Diversity and Inclusion for the Division of Social Sciences. 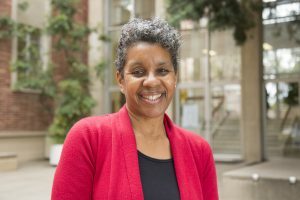 In that capacity, she works with Dean Hunt on a variety of matters including, but not limited to, the faculty search and hiring process and issues concerning climate in the Division. As an Equity Advisor, she also works with the office of the Vice Chancellor for Equity, Diversity and Inclusion. She received her B.A. in History from Yale, and an M.A. and Ph.D. in History from Stanford. Mike Lofchie is the associate dean in the Division of Social Sciences and has been a member of the Political Science Department since the 1960s. He specializes in the political economy of developing countries; his latest book is The Political Economy of Tanzania: Decline and Recovery (Pennsylvania, 2014). As associate dean, he conducts preliminary reviews of academic personnel cases. Till von Wachter is a Professor of Economics, the Director of the Census Research Data Center, and the Faculty Director of the California Policy Lab. 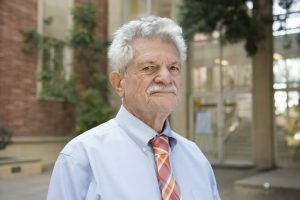 His research on job loss, unemployment, inequality, and working conditions has had local and national impact. Prior to joining at UCLA, he taught at Columbia University and holds a Ph.D. from the University of California Berkeley. In his role of Associate Dean for Research, he works with the Dean to find synergies and opportunities to enhance the Social Science Division’s research infrastructure and its impact on the community. 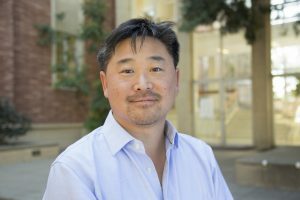 As assistant dean, Caleb “Q” Na serves as the Chief Administrative and Financial Officer for the UCLA Division of Social Sciences. Q manages the overall academic and administrative resources of the Division which is home to approximately 300 ladder faculty and 9,000 undergraduate majors and 800 graduate students. 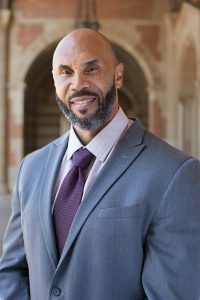 Q has been with the division since 2014, and has been employed at UCLA since 1994. 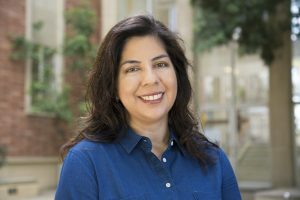 Ana-Christina Ramón is the Director of Research and Civic Engagement for the Division of Social Sciences at UCLA. Dr. Ramón is a social psychologist trained in quantitative and qualitative methods. For over a decade, she has worked on social justice issues related to equity and access in higher education and the entertainment industry. 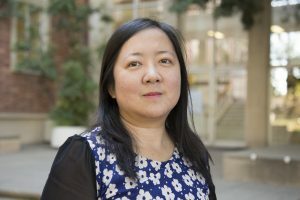 Her past research has also focused on conflict perceptions and racial and gender stereotypes. She was most recently the Assistant Director of the Ralph J. Bunche Center for African American Studies at UCLA, where she managed the Summer Humanities Institute, an eight-week graduate training program for high-achieving, underrepresented students and the College Access Project for African Americans, a research project that examined equity and access issues for African American students in California. She previously worked at a market research company and was a summer research associate at the RAND Corporation. Dr. Ramón has a B.A. in psychology from Stanford, and an M.A. and Ph.D. in social psychology from the University of Michigan, Ann Arbor. 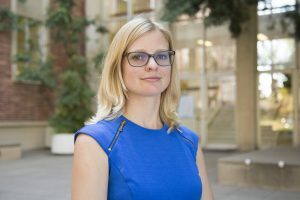 Amanda is Dean Hunt’s executive assistant and has been at UCLA since September 2010, when she transferred from Pasadena City College to receive her B.A. in Anthropology. 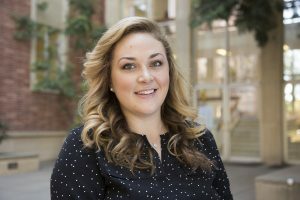 While completing her degree, she became a research assistant to former dean, Alessandro Duranti in October 2012 and came to the Dean’s office in April 2014. In her role as Executive Assistant to the Dean, she provides administrative and business support to the office of the Dean of Social Sciences; acting as the primary point of contact for all incoming communications, managing and prioritizing schedule requests, and preparing letters and documents that are issued from the office of the Dean. 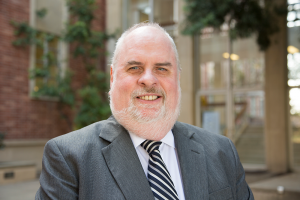 Tom Phelan is the CIO of the Social Sciences and Director of Social Sciences Computing. His unit provides the entire range of Information Technology Support to the division. He earned a Ph.D. in Sociology from Stony Brook University, where he also served as a Research Assistant Professor. He has been a tutor in the behavior sciences at James Cook University in Australia, a lecturer in computer science with the European and Asian Divisions of the University of Maryland, and a Research Fellow at the Institute for Advanced Studies at the Australian National University. His research has focused on Higher Education, the Sociology of Science, and Urban Sociology. 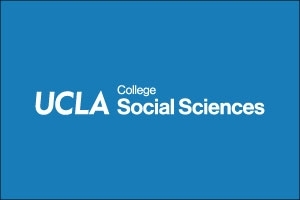 Tana graduated from UCLA and has been working at the Social Science Research Support (formerly Institute for Social Science Research) for more than 30 years. As manager of the unit, she is responsible for oversight of a multi-million dollar budget that includes approximately 100 extramural grants and subcontracts. Tana also advises faculty regarding regulatory compliance, prevent loss of funding and assist in proposal preparation and submission. 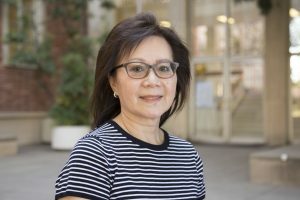 Jenny has been at UCLA since 2004 and came to the Dean’s office in 2015. As the Senior. Budget Analyst in the Division, she administers divisional resources within a multi-fund environment in the three broad budgetary areas: instruction, operating and faculty recruitment & retention. She has a B.A. in History from Shanghai Normal University. 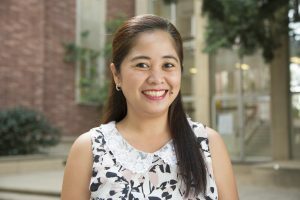 Aimee joined UCLA in December 2011 as an Administrative Specialist at the Academic Personnel office in the Department of Medicine, David Geffen School of Medicine. She moved to the College of Letter and Science in September 2016 to accept a position as the Divisional Academic Personnel Analyst for Social Sciences. Aimee oversees the academic personnel review process for ladder faculty and temporary academic appointment and advancement actions. She reconciles and submit final clearance for personnel employment actions, recruitments, leaves, range adjustments, etc. in EDB, UCPATH, OPUS and UC Recruit. Aimee graduated with a B.A. in Asian Studies from the University of Santo Tomas, Philippines. 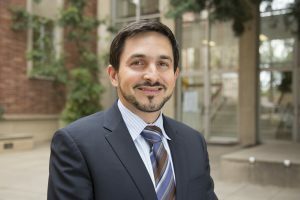 Peter has been in the UCLA Division of Social Sciences since 2011, assuming the role of Executive Director of Development in 2018. In his role at UCLA, Peter oversees all major gift fundraising activities for the Division. Prior to joining UCLA, Peter worked at J. Paul Getty Museum for eight years after serving as business manager for several entertainment companies. Kristina has been with the UCLA College since June 2014. Kristina interned for the art education outreach program at the Guggenhiem Museum in Bilboa, Spain and later continued her career as the marketing, communications, branding, and graphic design director for a large financial firm in Nevada. In her role as Senior Marketing Manager for the UCLA College, she is responsible for strategizing, directing, designing, and implementing effective marketing, media relations, content, and identity programs and campaigns across a wide range of media. She received her bachelor’s degree in art from the University of Reno, Nevada.